Chloe and Bellamy (Bella) joined the walk in Cresta, Johannesburg with Alsatians Penny, Zorin and Tawnee (to read about their walk, click Walking Dogs in Johannesburg). 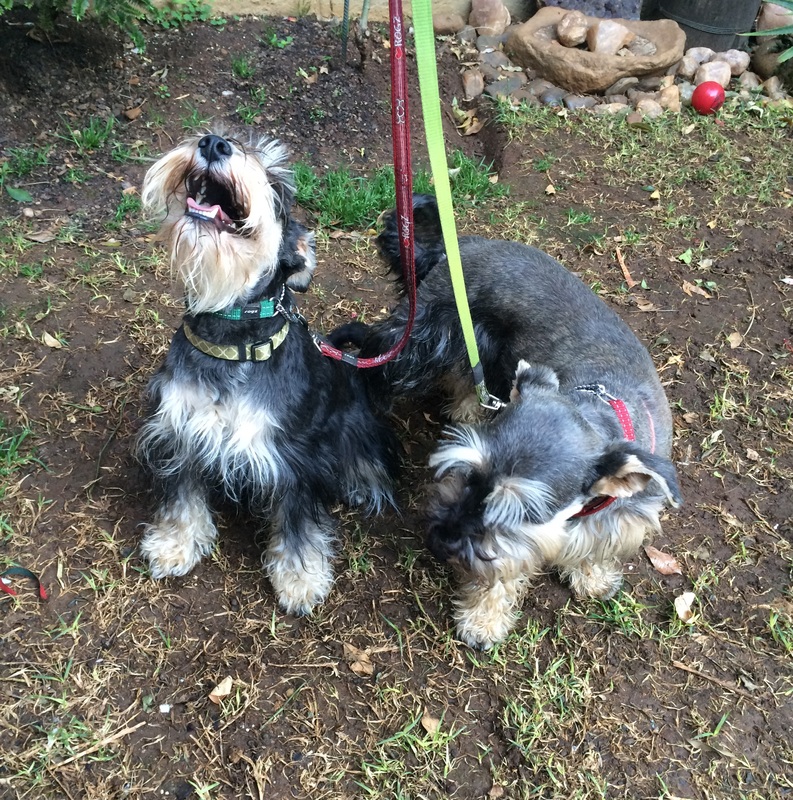 They are a pair of ecstatic Schnauzers who are always happy to see their walkers from #YourHound_SA. They were almost walking on just two legs for the beginning of the walk, they were so excited. Many people noticed the pack of hounds and couldn’t help but look at what was going on. We walked past a family who were impressed with our group and said it was “quite the picture” to see. Chloe and Bella were very happy to see them. We walked past many other dogs who wanted to come out and play. This made the Schnauzers very excited as they tried to make new friends and say ‘hello’ to everybody. We had to keep moving though, which they were also quite happy about. They were very sad to see their walkers go. 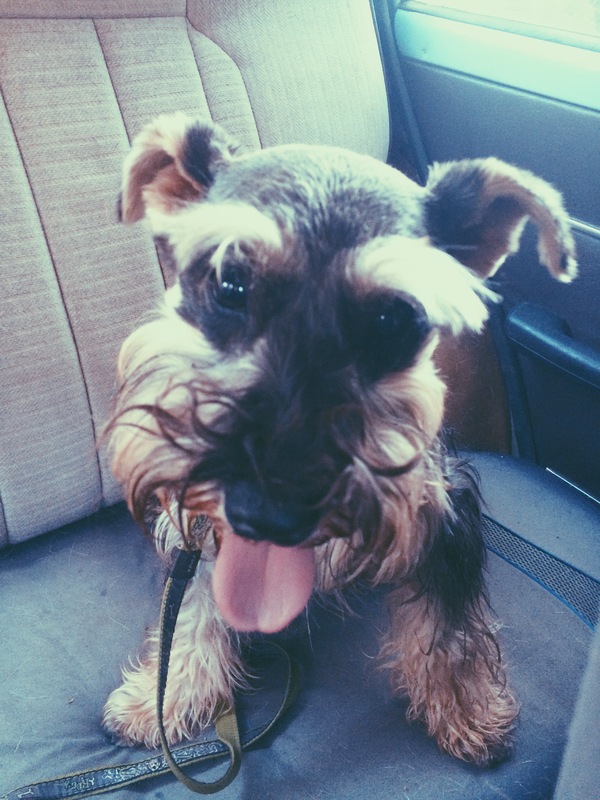 This entry was posted in Dog Walking and tagged #YourHound_SA, city streets, Dog walking, dogs, Early mornings, fit, fun, happy, Happy Dogs, Joburg streets, Johannesburg, love, Pets, Socializing. Bookmark the permalink.